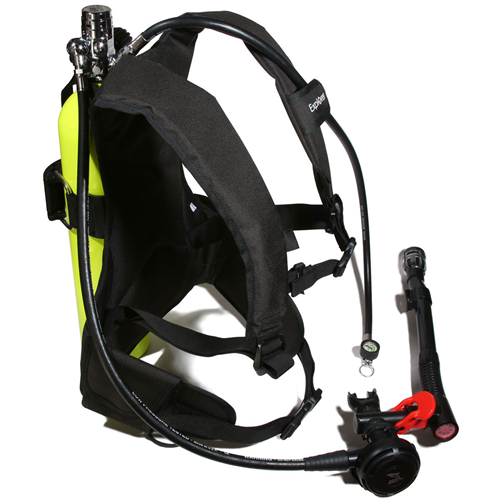 The is a complete dive & Easy-Dive Kit snorkel system. 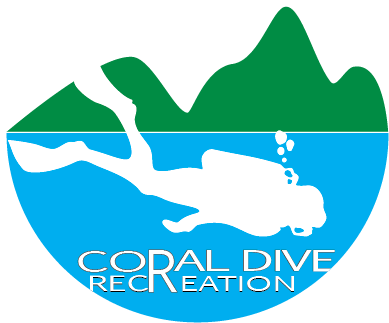 Just grab this unit and you are ready for your next dive & snorkeling adventure. No longer limited to the surface and quick underwater swims, snorkelers can take occasional deeper dives to explore the shallows, with less equipment than a full diver would require. The Easy-Dive Explorer Kit is perfect for any situation where you want to jump in the water quickly particularly if you don't want to spend a lot of time setting up dive gear. Whether you need to check out the bottom of a boat or find a new reef to explore, Easy-Dive has the solution to make diving simpler and quicker. The Easy-Dive Kit includes a 19-cu. ft. cylinder, custom harness, tank Easy-Dive Kit valve/first stage combo, second stage regulator, mini pressure gauge, air compressor refill adapter and incorporates the new Snorkelator. The Snorkelator incorporates a modified IST 3D Flex Dry Snorkel. While IST doesn't claim to have "re-invented" the snorkel, the 3D Flex Dry is pretty-close to it! IST's 3D Flex Dry's special top has not 1 but 4 valves, each capable of blocking the air entrance independently. If the snorkeler unintentionally submerges the top part of the snorkel (i.e. looking from side to side), a conventional dry snorkel will have its only air passage closed off completely as soon as it senses buoyancy change but in the same situation with a IST 3D Snorkel, only the valves that are underwater will shut while the others will remain open, providing an unobstructed breathing path. Apart from the special quad-valve dry top, the IST 3D Snorkel is also equipped with a large purge valve and swiveling snorkel keeper. The flex tube section will fall away from the divers' face. The Snorkelator has a switch to close off the snorkel function when you're ready to submerge and breathe from the Scuba regulator. The included custom harness is made from durable padded fabric with a pockets for optional soft weight pouches to offset buoyancy. The harness comes complete with a nylon webbing cam band equipped with a rubber friction extrusion pad. Harness has squeeze-style" side release buckle waist and sternum straps with adjustable shoulders that is designed for one size fits all. A D-ring is included for attachment of accessory items. The regulator has a dependable balanced piston first stage with a downstream demand valve second stage. The first-stage regulator threads directly into the neck of the cylinder eliminating the need or bulk of a cylinder valve, first stage has a sure grip on/off valve hand-wheel that is easy to turn even with gloved hands. The first stage is equipped with three 3/8"-24 UNF threaded low pressure ports and one 7/16"-20 UNF threaded high pressure port on the marine grade chrome platted brass body for corrosion resistance and long life. Note: All Spare Air cylinders meet certificated specifications of the US Department of Transportation (DOT) with DOT-3AA specification and Transport Canada Safety and Security (TC) with TC-3AAM specifications. The 19-cubic foot cylinder weighs 7.8 lbs. (3.5 kg), is 17.4" (44.2 cm) tall, with a diameter of 4.38" (11.13 cm) and is negatively buoyant -1.3 lbs. (589.7 g) when full. Snorkelator Will Optimize the Way-You-Dive!